In March 2011, The Bass Museum of Art will initiate the first of three, one-year curatorial fellowships focusing on contemporary art thanks to generous support from the John S. and James L. Knight Foundation, as part of its Knight Arts Challenge. These Fellowships will offer emerging curators experience in working in a mid-sized art museum while performing curatorial tasks, working alongside other museum departments and dialoguing with artists, collectors and arts professionals in the Miami arts community. Among other responsibilities, Fellows will conduct studio visits in Miami and gather materials to develop a complete archive on Miami artists. He/she will assist in developing exhibition programming and contemporary artists’ projects, and facilitate educational programs for museum members. 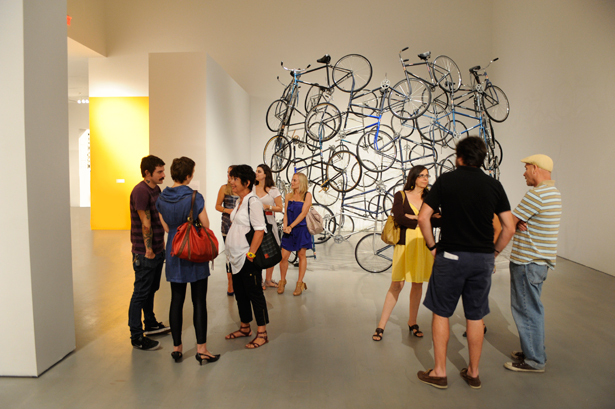 “These three one-year Knight Curatorial Fellowships seek to enhance the curatorial dialogue in the Miami community, whereby artists, art professionals, collectors and art enthusiasts engage in critical conversations about art and cultural issues as well as promote an exchange of ideas,” states Silvia Karman Cubiñá, Executive Director and Chief Curator, Bass Museum of Art. The Bass Museum of Art seeks a qualified candidate with some experience in the curatorial field demonstrating exhibition development. Fluency in English language is required, as well as excellent writing and interpersonal skills. Spanish-language skills are a plus. Masters degrees or foreign equivalent are preferred but not required. Strong weight will be given to personal references. For more information, please visit http://www.bassmuseum.org. This entry was posted in Awards & Funding, CUR104 (Professional Practice), Curatorial Opportunities, Job Opportunities. Bookmark the permalink.